Was shedding a few pounds one of your New Year’s Resolutions? If so, I wish you the best of luck in achieving your goal. 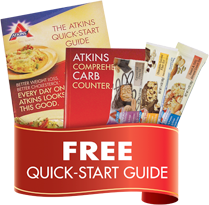 And, here is a little something that might help — a free Atkins Diet Kit.